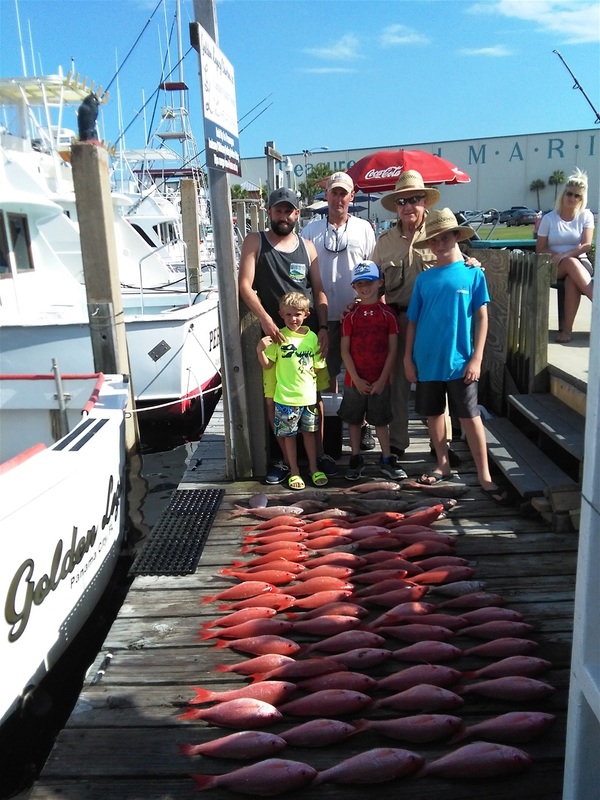 Red Snapper season will be OPEN June 1st- August 1st. So book your trips early to make sure you can sink your hooks into these beautiful fish this year. For more information call Tiffany for available openings, questions, rates, and bookings. 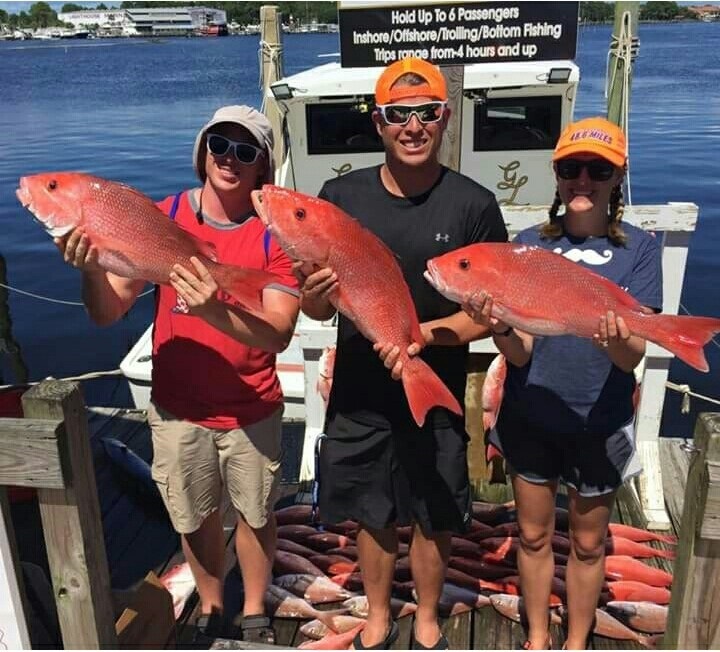 Our average Bottom fishing trip, (Not during Red Snapper season) Vermillion snapper & whites, other trips can also have kings,bonita, wahoo, Mahi, longer trips Can gain you Grouper and Amber jacks as well. Not included with split trips. 5 hours....... Bottom fish while shark fishing. Ideal for anyone wanting to do a little bit of bottom fishing while waiting for a chance to battle a shark. Deep Sea Bottom Fishing Trips. 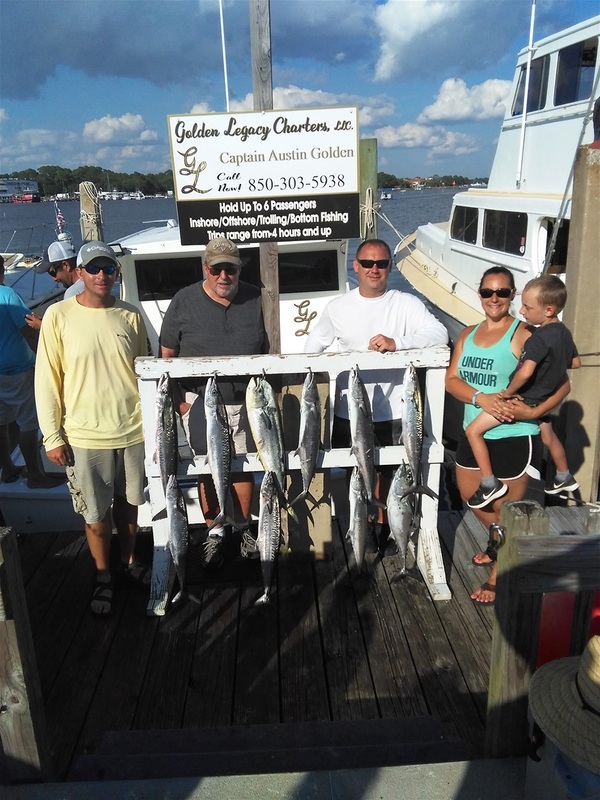 These trips start at 6 hours and are ideal for first timers or people who dont have a lot of time to spend out on the water but really want to go catch something. Now If your wanting to bring in more fish we suggest going on a 8 hour. 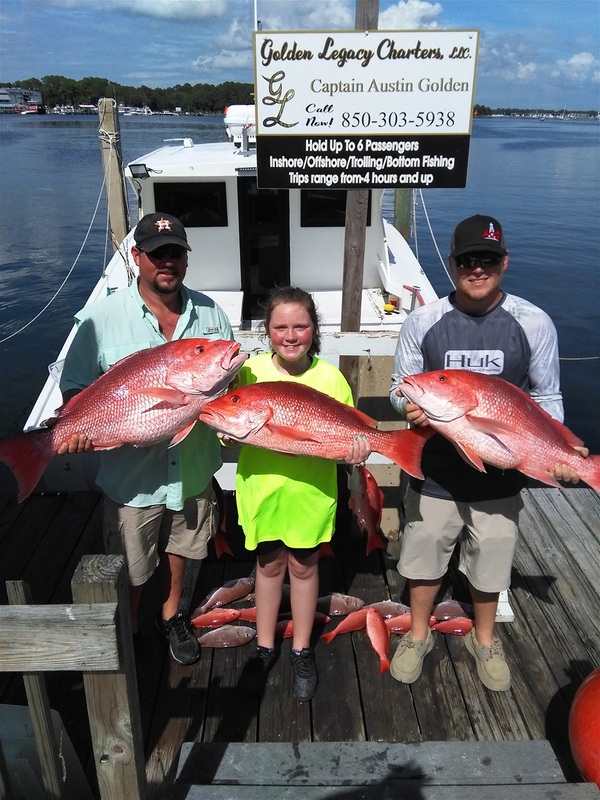 If your wanting to bring in ALOT of fish with better odds of catching some Red Grouper and Gag Grouper we suggest a 10 hour trip. And if your goal is ALOT of fish with BIGGER fish then we suggest a 12 hour. The longer your out in the water the more fish you catch and more time to find the bigger fish. We also offer trips longer then 12 hours call for more details and availabilities. All of our Bottom trips include trolling on your ride out and back in, so there's always a chance to catch some migratory fish too. For trips longer then 18 hours, please call for availability. Our crew works hard for your fishing enjoyment, it is customary to tip the Crew at least 15%- 20% of total cost of trip. * We understand some people get sick on the water, if this happens please do this outside of the cabin over the rail of the back deck, there is a "clean up fee" of $200 if someone gets sick inside the cabin. If you are concerned you may get sick we recommend taking bonine motion sickness medicine the night before your trip and right before your trip. It is usually found at most CVS or Walgreens stores. *Our rates include the use of dead bait, tackle, and rods and reel, that we supply, however it does not cover the loss of rods and/or reels over board there will be a "replacement equipment fee" of $200.00 that will be due upon your return at the dock if this should happen.